Two years after it went on sale, the BMW i3 has established itself at the pinnacle of its segment worldwide.In Germany, one in every four electrically-powered vehicles sold since then has been a BMW i3, globally it is one in 10. In the listings of the most popular EV models, the BMW i3 occupies third place on a world-wide basis since its market launch in November 2013.
important single market for the all-electric five-door is the USA, where it ranks third as well. In Norway the BMW i3 has been the best-selling model across the entire BMW range in the current year. Its ability to respond to the individual requirements of customers and national legislation in the various countries also explains how the BMW i3 is the only imported electric vehicle in China which can be purchased tax-free and avoids the hurdles presented by the local licence plate lottery. For Japan a special version of the BMW i3, tailor made to accommodate the low height of the car parking spaces there, had been developed. 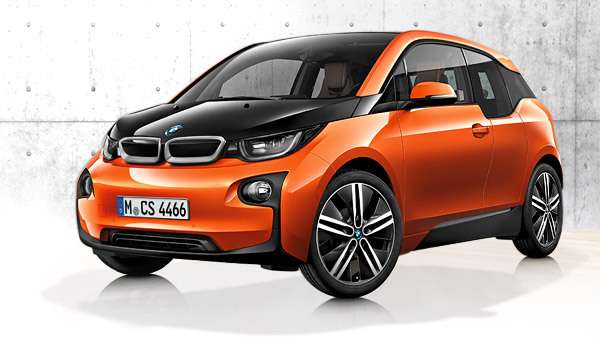 The BMW i3 is available now in 49 countries, meaning the core phase of the market introduction is finished now. Only some smaller markets are still to follow. Crucial element within the success story of the BMW i3 has been that it is the only EV worldwide with an optional Range Extender. In many cases – especially among customers who still had their reservations about buying an electric car – the choice of the additional small combustion engine tipped the balance in favour of the BMW i3. With the creation of the BMW i brand and the decision to develop a purpose-built vehicle architecture, as well as passenger cells made from carbon-fibre-reinforced plastic (CFRP) and BMW eDrive technology for electric drive systems, the BMW Group has taken on a pioneering role in the field of personal mobility. Both the BMW i3 – designed to provide locally emission-free mobility in urban areas – and the trailblazing BMW i8 plug-in hybrid sports car blend the joy of driving with a premium character that is focused squarely on sustainability and also involves a resource-friendly approach to materials selection and manufacturing. This all-encompassing strategy and the compelling product attributes have helped BMW i to become the most awarded brand in automotive history during launch phase. The BMW i3 meets the needs of demanding target groups who combine an appreciation for sustainable mobility with a desire for a driving experience that is both sophisticated and rich in emotional appeal. Its progressive design, intelligent lightweight construction, groundbreaking drive system technology and innovative connectivity turn locally emission-free mobility into a fascinating experience, opening up whole new groups of buyers to the BMW Group.